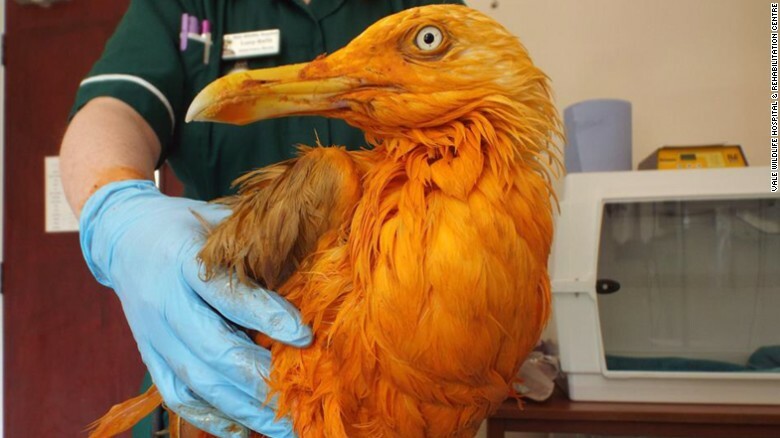 (CNN) A seagull in the UK has become an instant celebrity after it fell into a vat of curry and was dyed bright orange. 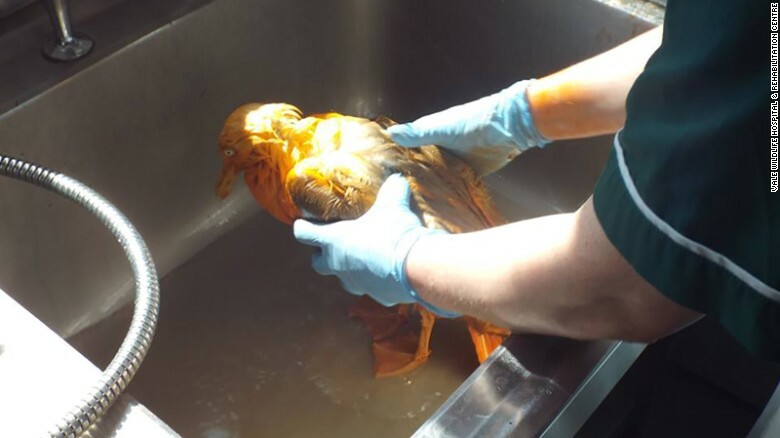 The hungry gull had apparently been trying to scavenge meat from an outdoor food factory bin when it fell into a waste vat of chicken tikka masala, according to Lucy Kells, a veterinary nurse at Vale Wildlife Hospital & Rehabilitation Centre in Gloucestershire, England, who detailed the bird's plight in a Facebook post. "Anyone fancy a curry? This poor chap did!" Kells wrote. 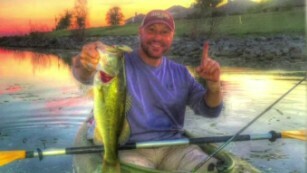 "Sadly he was enjoying it so much he fell in!" 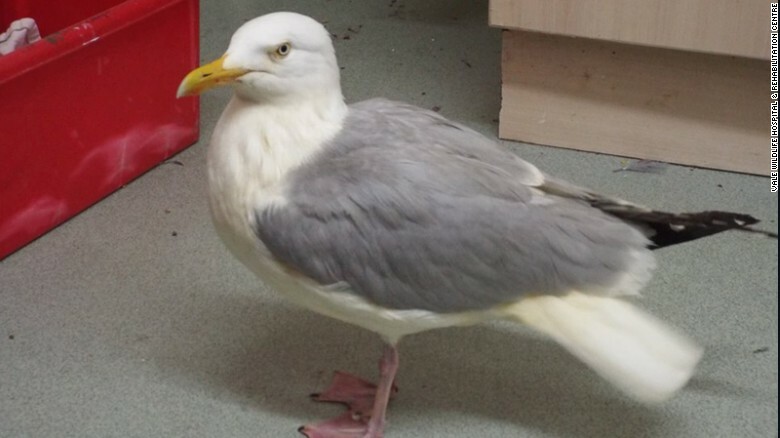 The seagull was rescued by workers at the factory, before being picked up by a volunteer from the wildlife hospital. Staff at the hospital then cleaned the curry from the bird using washing-up liquid. "We've cleaned him up and he is doing well, with no upset tummy! Hopefully he'll stick to a much more bland diet in the future!!" Kells said. But while rescue staff were able to remove the color, the smell of the curry proved harder to shift. "I don't think any of us have experienced such an orange greasy gull to deal with before... but boy did he smell good! ;)" Kells said.